Personal taste is personal. So whatever decor ideas make your home a place you want to be in 2019 are the ones that are in style this year. 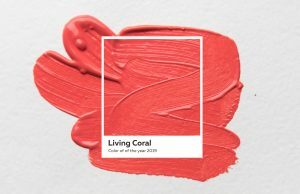 But if you need a little guidance, here is the what the design exports at Elle Decor, House Beautiful and Decor Aid agree will make your house the hippest in 2019. Comfort is key this year, and designers are encouraging homeowners to invest in seating, sleeping, and storage choices that keep their ease in mind. Don’t scrimp on more padding and softer surfaces when considering home furnishings. For instance, luxurious four-poster beds with their cozy enclosed feeling are becoming popular again. Be open to bolder colors (think gem tones — deep teal, burnt yellow, nuanced reds) that serve as a focal point in the room, for example a bold backsplash in the kitchen or bath. The 2019 Pantone Color of the Year is Living Coral, a bottomless tropical sunset of pinkish-orange. In terms of furniture, there are some specific ideas you can ride into the 2020s with confidence. 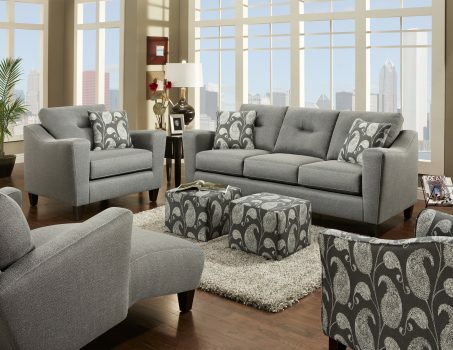 Velvet upholstery, acrylic seating, and/or floral patterns with a 1970s-ish tilt are in. While the mid-century motif was all the rage in 2018, the ‘70s — with their vibrant, playful colors and shapes — are influencing 2019. Furthermore in fabrics, the style known as passamenterie — accents of tassels, braids, and fringe with a military flavor — is getting a revival, so decor pieces and furniture with these intricacies are being appreciated across the board. Rose gold — the darling of 2018 — is being phased out by mix-and-match metal accents. Your rooms can contain gold, nickel, and copper all at once, and still be sophisticated and clean. If you’re less into the glam scene and more into muted, natural vibe, it’s ever-popular. Light-colored wood floors are back to add air to a kitchen, while darker, richer countertops bring more warmth. Florals and natural fibers are always in fashion, but they are all the better when constructed with sustainable materials by local artisanal crafters who are using local or repurposed materials. If you’re looking for home upgrades to ring in the new wear, come to Meyers for new flooring and furniture that stays with the times.